Everything not busy growing is busy decaying. In a garden, change is the constant. The produce that you have to work with is continually changing, and your technique has to adjust to it. 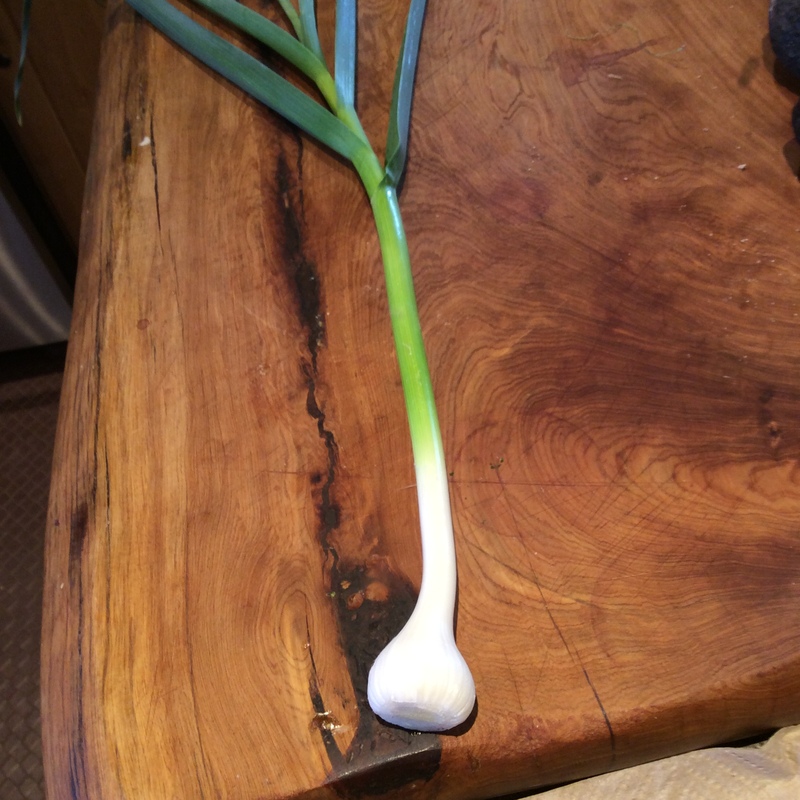 Right now in my garden, for instance, the green garlic has begun to form bulbs and the stalk is elongating considerably, forming the scape inside. The tissue that will become the papery skin of the bulbs is still soft, and the entire plant is still usable as green garlic. In fact, that has a somewhat stronger taste of garlic then it did in earlier stages. Just be aware that you need to cut it in fine slices across, less than a quarter inch if possible, and sauté it longer in olive oil or butter and maybe a little water to help the leaves soften. At this stage I plan on 25-30 minutes over medium-low heat to let the leaves soften, sweeten, and develop flavor. If you want to try dehydrating it to use as a seasoning later, this is the perfect stage. Just slice it thinly, put it in your dehydrator until thoroughly dry, and then powder it for later use if desired. Your other ingredients are in constant flux throughout the season too. Watch them, handle them, taste them, and see where you need to adjust your technique to suit their current maturity level.